The Benefit gimme Brow (€ 21.00) is one of the most famous brow products of the last couple of years. Then why did it take me so long before I tried it out? Believe me, right now, I'm asking myself the same question, because I LOVE it. Let's talk technicalities first. You get 3 gr of product for 21 euros, which isn't the best. Benefit is a high-brand though, so this is to be expected. Compared to the drugstore alternatives, like L'Oréal or Maybelline, the Benefit has got less product for twice the price. However, it's what's inside that matters, right? 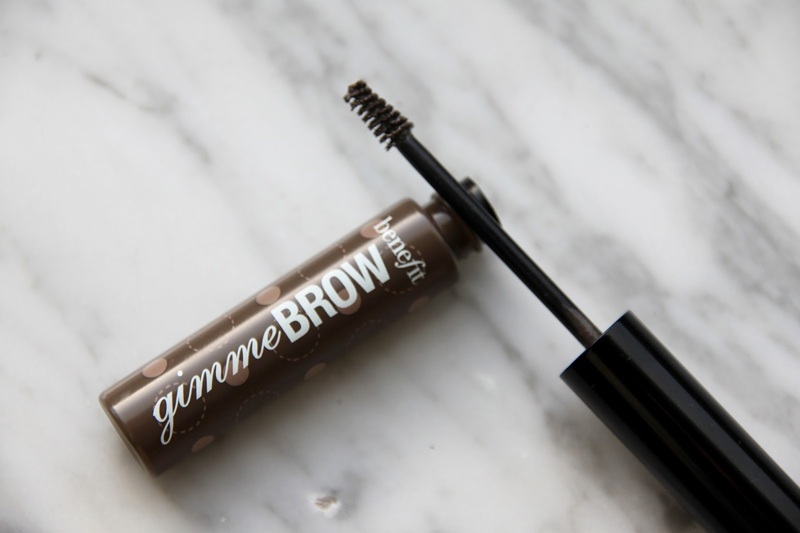 The Benefit gimme Brow has little fibers that cling to your brows and make them fuller, whilst the tint fills them in. In my opinion, this is where it varies from other brow gels : the fibers really work and the cool toned color appears more natural than the drugstore alternatives. As for how to use it; someone with fuller brows like myself can definitely use this on its own. However, if you have sparser brows, this might not be enough for you. But you can for sure use this as a little extra to thicken them up and set them in place. Is it worth the little splurge? For me : yes. I've been using this for a good month now and I really love how easy it is to use and the effect it gives on my brows. 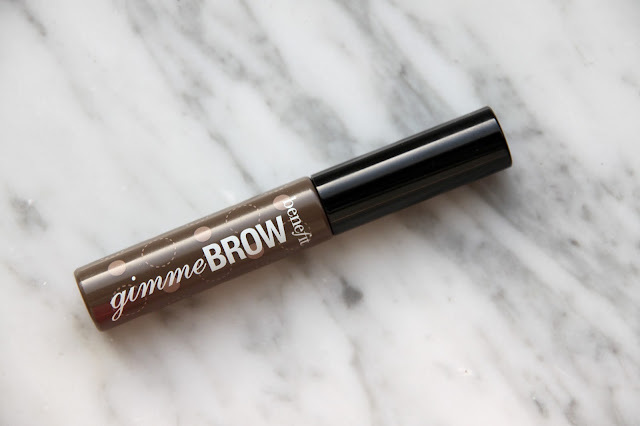 Have you tried the gimme Brow? What are your thoughts on tinted brow gels?